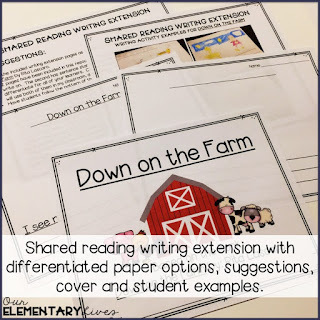 Shared reading is one of those activities where you can get the most bang for your buck! 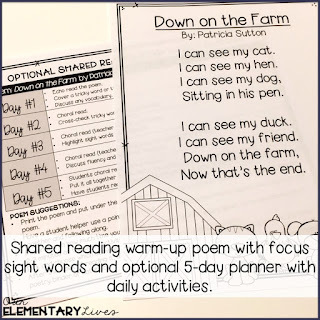 Especially in kindergarten and first grade, shared reading makes your students readers. It teaches so many skills and makes your youngest readers feel like readers. It turns non-readers into kids who believe they can read. Keep reading to learn all about my newest resource. To say I'm excited about my newest resource line is probably an understatement. 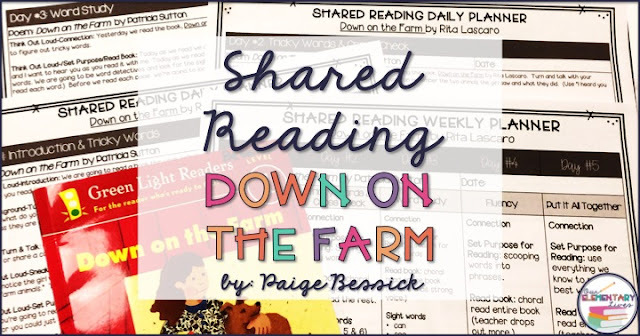 You probably already know my love of interactive read alouds, shared reading is right behind that. And as I was looking to include it more in my classroom, and searching Teachers pay Teachers to make it easier for me, I was at a loss. There just wasn't much for shared reading resources. So I have taken it upon myself to start a new product line that I am very excited about! 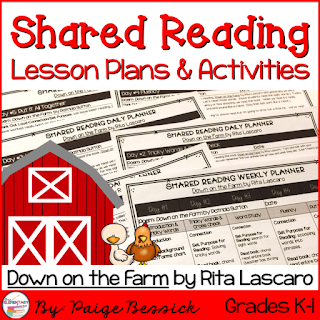 Please say hello to my newest resource line: Shared Reading Lesson Plans & Activities. 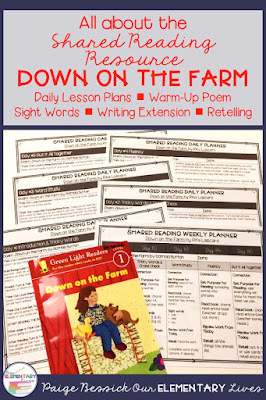 The pattern in this book is so predictable that I love to create a writing extension and have my students do their own writing to follow the pattern. I've taken a ton of time to complete this resource as I wanted to make sure it had everything I wanted to include and provide a resource that can work for most teachers. 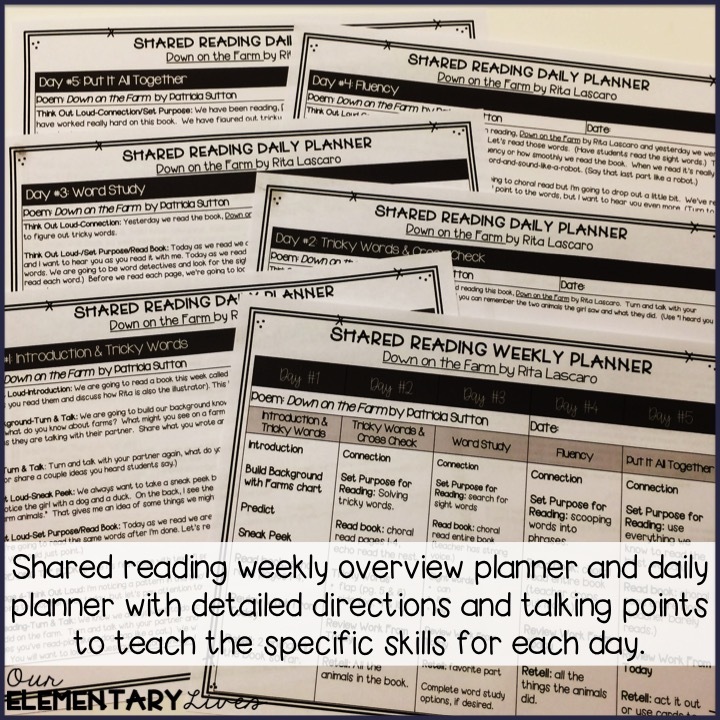 This resource includes a weekly over lesson plan and 5 complete lessons for 5 days of shared reading. Each day focuses on one specific skill. See my blog post >>HERE<< for more information about shared reading. This resource also includes a poem written by my fabulous mother-in-law to go with the book and include the focus sight words for the book: can, see & my. 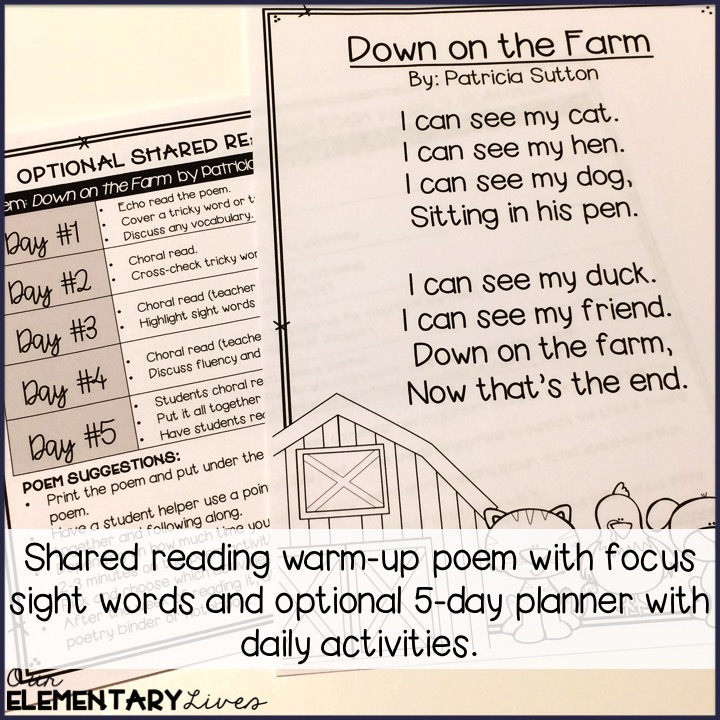 An optional daily lesson plan is also included for ways to use this poem. 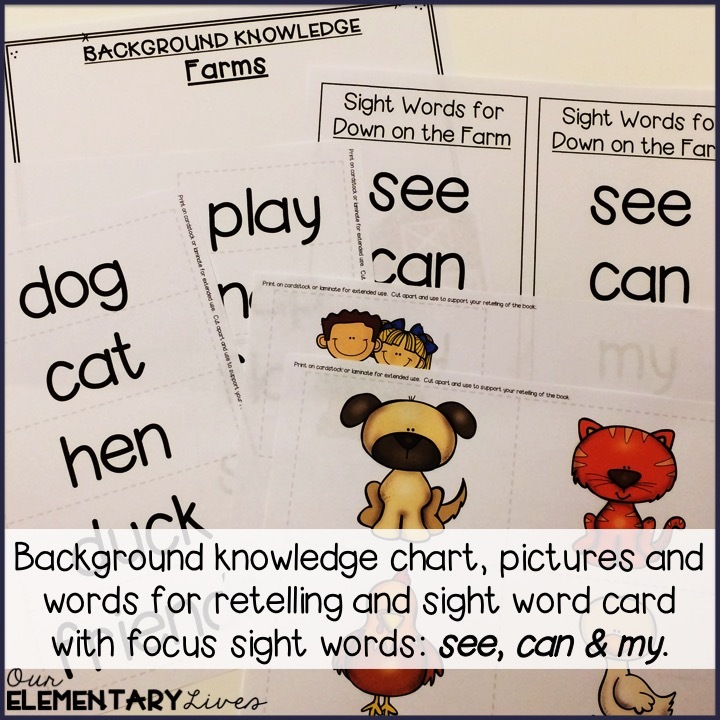 A background knowledge chart perfect for the document camera, sight word cards, pictures and word cards for retelling are also included. And my favorite thing to do with shared reading is to create a class book. This resource includes a writing extension with differentiated paper options, student samples, and a cover. Everything you need to make your own class book. So there you have it. 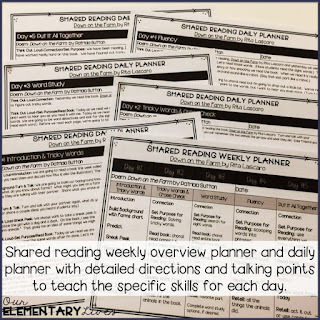 My very first shared reading resource. 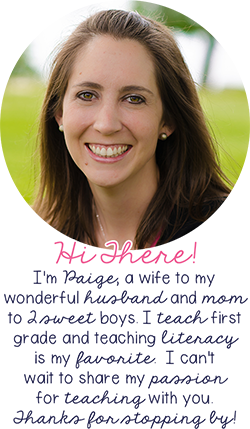 I cannot wait to offer you more and make shared reading easy and fun! Please let me know in the comments or email me at ourelementarylive@gmail.com, what your favorite shared reading books are, I'd love to create some resources for those books. Signup for updates on my resources, and monthly special offers!